The holiday season can be stressful for anyone. Add in the responsibilities of caring for an aging loved one, and the stress is magnified. Your aging relative may also experience stress, as well as other negative emotions, like loneliness or grief, during the holidays. 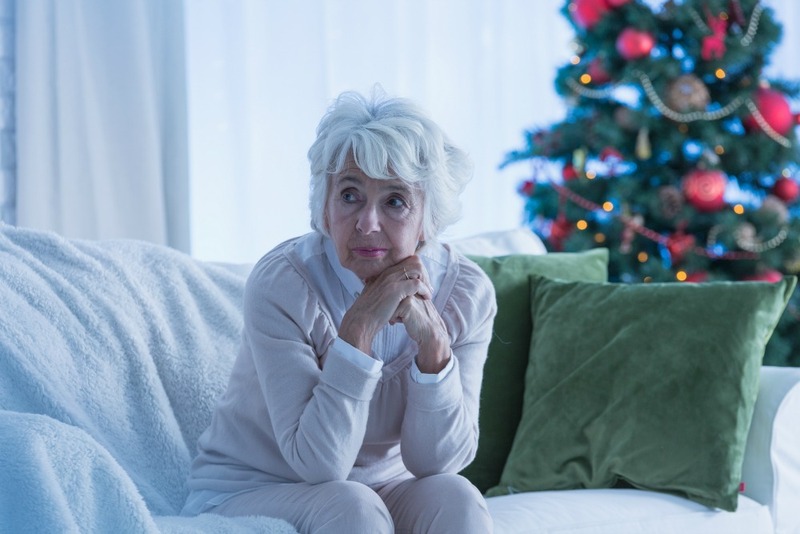 For many older adults, the holidays are a stark reminder of lost loved ones and/or the inability to be with family and friends. The good news, though, is that there are ways you and your aging loved one can overcome these common holiday challenges and celebrate together. Family is at the center of the holiday season for most people. And it’s no different for older adults. However, unlike younger adults, seniors have lived longer and are therefore more likely to have lost loved ones. This can make the holidays a less-than-jolly time. If this sounds like your aging relative, it can help to honor his or her lost loved one(s) in a meaningful way. You and your loved one can do so by, for example, holding a candle-lighting ceremony or continuing a timeless tradition. This can help shift your aging loved one’s focus from loss and loneliness to the reason for the season: the gift of life. In addition to caring for members’ health-related needs, Senior LIFE also provides help with emotional, family, and social issues. While you may know the importance of socializing and relationships as we age, you may not realize that it’s especially important to be social during the holidays. Holidays can be especially lonely for older adults who don’t live near their families. It’s not uncommon for these seniors to isolate themselves and stay home. However, isolation only furthers feelings of loneliness and keeps older adults from enjoying the holiday season. For Senior LIFE members, there are ample opportunities to remain active and spend time with others. Members can visit the Senior LIFE Center to socialize with friends, visit their medical providers, and access rehabilitation services, which can all be helpful in combatting loneliness and depression. The options are endless—the key is to keep doing what brings you joy. The holidays tend to bring extra challenges for caregivers, who are managing not only their own families and responsibilities but their aging relatives’ as well. To prevent burnout and offset stress, it’s important to set realistic expectations from the beginning. Be aware of what you can manage and accomplish and what you can’t—and ask for help. For example, don’t take on all the holiday preparations by yourself. Instead, ask for help from family and friends. If your aging loved one is able, invite him or her to help with some of the preparations. Though a simple gesture, it offers a meaningful activity for your loved one and helps minimize stress that both of you may be experiencing. At Senior LIFE, we understand that caregivers need a helping hand. That’s why we provide options to help care for loved ones and give family caregivers the break they need. Members can enjoy time at the Senior LIFE Center socializing and participating in activities while their caregivers get time for themselves. Social services to help seniors with emotional, family, or social issues are an important part of Senior LIFE. Find out more about what Senior LIFE offers and how to get started.